Color/Appearance: Heartwood is a medium reddish brown, commonly with black streaks. 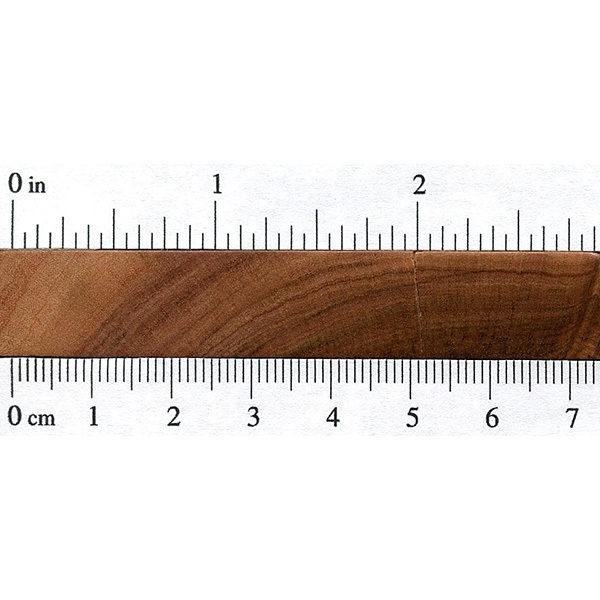 Sharply defined sapwood is a pale pinkish yellow. Grain/Texture: Grain is straight to interlocked, with a fine, even texture and low natural luster. Endgrain: Diffuse-porous; solitary and radial multiples; small to medium pores in no specific arrangement, moderately numerous; yellowish brown mineral/gum deposits present; parenchyma vasicentric, banded; narrow to medium rays, spacing normal to fairly close. 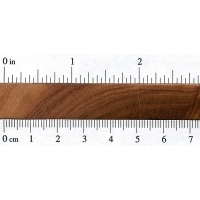 Rot Resistance: Rated as very durable; good insect resistance, though sapwood is prone to insect attack. Workability: Can be difficult to work because of high cutting resistance—saws slowly, and has a tendency to ride up over jointer knives. Also, due to its high silica content, cutting edges become severely blunted. However, the wood is stable in service, and glues, turns, and finishes well. 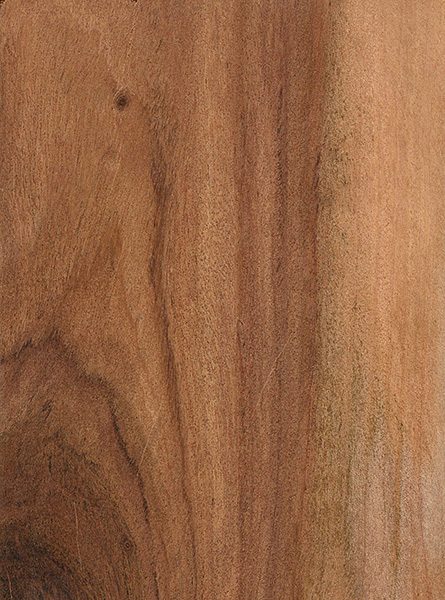 Allergies/Toxicity: Although severe reactions are quite uncommon, Rhodesian Teak has been reported cause respiratory irritation. See the articles Wood Allergies and Toxicity and Wood Dust Safety for more information. Pricing/Availability: Although Rhodesian Teak is an important timber, it’s not commonly exported. It’s sometimes available as flooring or as narrow boards; expect prices to be in the mid to upper range for an imported hardwood. Common Uses: Flooring, veneer, millwork, fretboards, and turned objects. 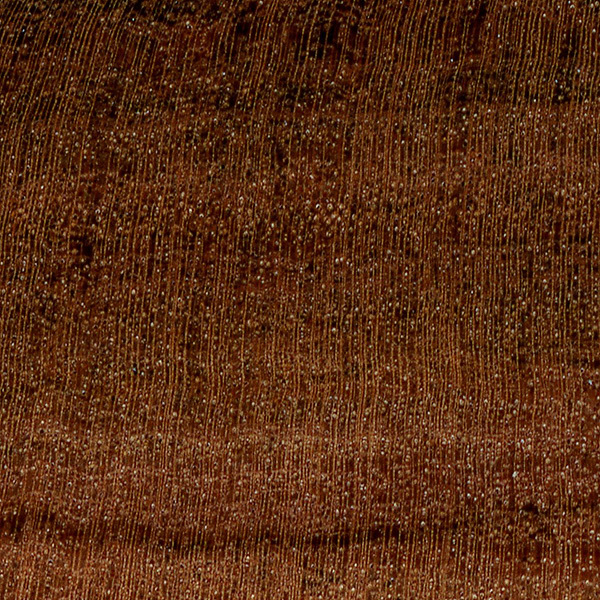 Comments: Despite it’s common name, this wood species is not a true Teak (Tectona genus). However, much like genuine Teak, it does have good stability and rot resistance, and is considerably harder than genuine Teak. 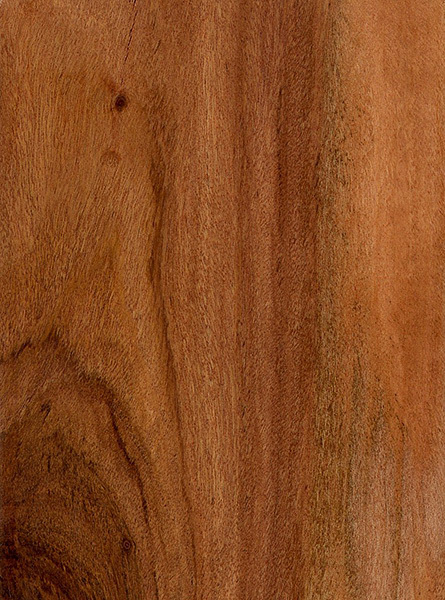 Rhodesian Teak’s difficult workability is a two-edged sword: the very same cutting resistance also translates to excellent wear-resistance in service, making it well suited for use as flooring or guitar fretboards. 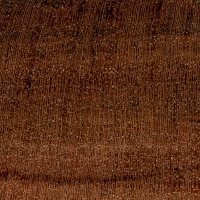 Luthiers sometimes refer to this wood as Mukushi or Zambian Teak.